I’ve just been in San Jose and my head is still in bit of a spin for a number of reasons (one of which is that I essentially went for a day from London). Anyway, on the way over I read about a UK firm (Analyse Local) offering to use satellite imagery to help councils spot small businesses that are improving their business premises ‘without permission’ and hence potentially subject to higher business rates (not exactly a high crime surely?). 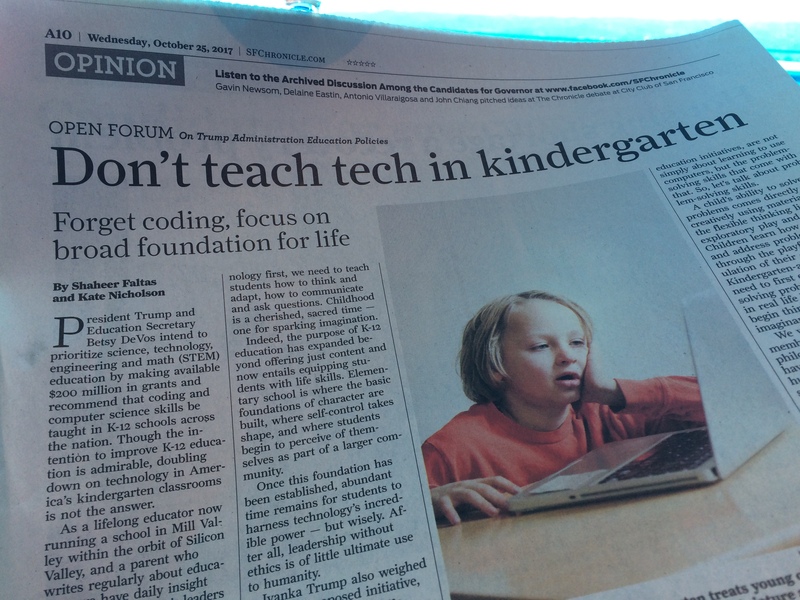 Then a great piece in the San Francisco Chronicle about why tech shouldn’t be used in pre-schools. This is not the first some piece coming out of Silicon Valley that’s anti-tech in schools and rather interesting. Chimes very much with my chapter on education in Digital Vs. Human and also with something I wrote for the Australian government recently. (Wider discussion about AI here). Finally, how about this for a head-spinner. How about if you could take everything ever written by humankind, get a computer to read it, and provide an automated summary? Believe it or not it’s not that hard to do and to some extent we’re doing it already with vast numbers of academic papers (computer reads them all and spits out some insights). This entry was posted in AI, Education, Privacy. Bookmark the permalink.